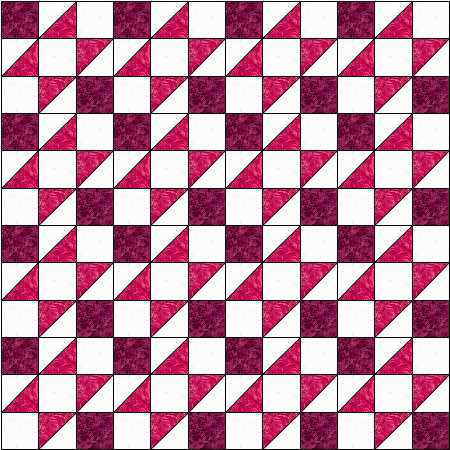 We hope you all enjoyed the Mystery Quilt over the last few Mondays and are not too busy quilting it ready for Christmas to enjoy our continuing series of Simple Blocks. Last time (two months ago?) 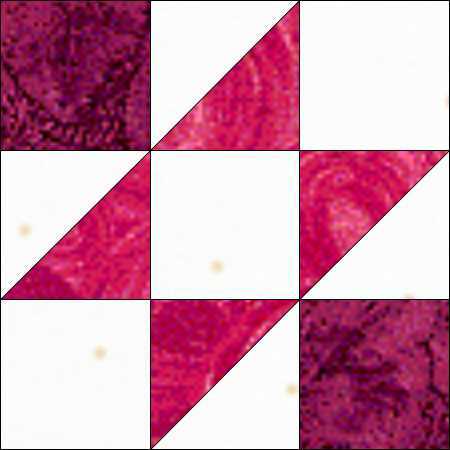 we started to look at blocks with half-square triangle units and featured the block Calico Puzzle. This month’s is similar, but different, and usually known as Contrary Wife. 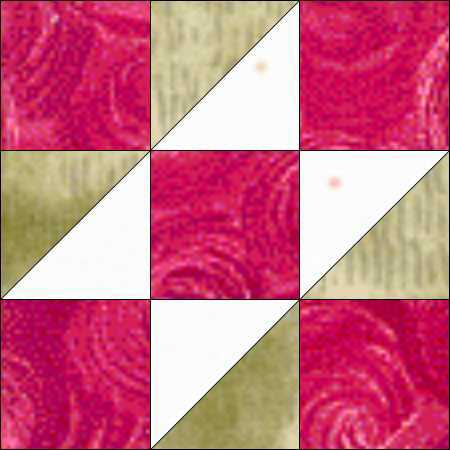 You can download the instructions for this block here. 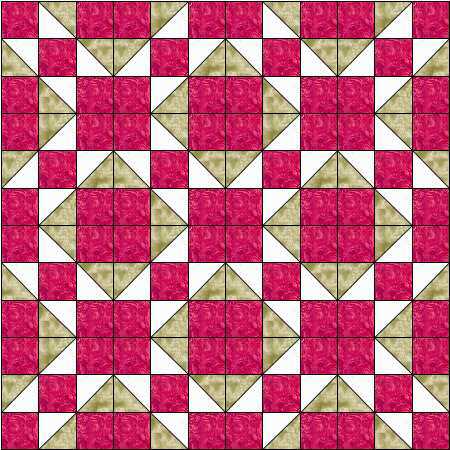 This is an asymmetric block which makes it quite interesting when you put several blocks together and start turning them around. 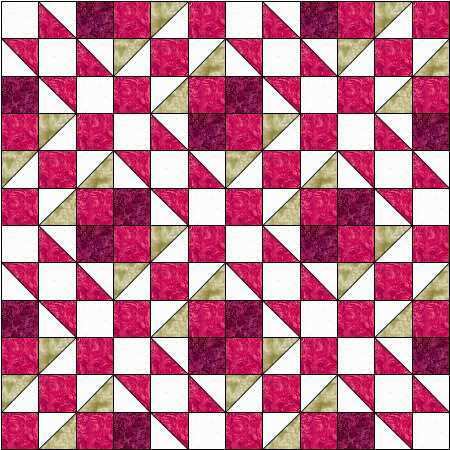 Here’s a few ideas starting with the first colourway and just straight set 4 blocks by 4. 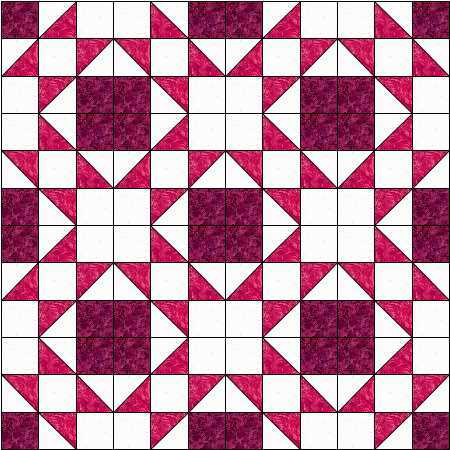 This entry was posted in beginners patchwork, free pattern and tagged free pattern, nine-patch block, quilt blocks, simple patchwork on November 24, 2014 by Chris.